The rusty patched bumblebee (Bombus affinis) is now the first bumblebee species to receive protections under the U.S. Endangered Species Act. The listing of the bee species was finalized today (Jan. 11) after a five-year campaign by environmental groups. The Xerces Society for Invertebrate Conservation first petitioned for the listing in 2013 and, in 2014, joined with the Natural Resources Defense Council (NRDC) to sue the U.S. Fish &amp; Wildlife Service (FWS) for failing to act on the petition. The FWS subsequently issued a decision to list the bee as endangered in September 2016. Full protections for the bee go into effect Feb. 10. Rusty patched bumblebees are social insects that live in colonies led by a queen. Workers and males have a reddish splotch on their backs, lending the species its common name. The rusty patched bumblebee is a North American native that was once found in grasslands across the eastern and midwestern United States, with a habitat covering 28 U.S. states and two Canadian provinces, according to the FWS. Since 2000, however, habitat loss due to agriculture has restricted the bee to 13 states and one Canadian province. Overall, abundance of the bees has dropped by 87 percent since the late 1990s, according to a FWS statement accompanying the listing. A 2016 report by the agency found that the bees populate only 8 percent of their former habitat, and that many of the populations that are left are under threat by at least one stressor, such as continuing habitat loss or declining genetic diversity because the populations are so small. Information is lacking on parasites and pathogens in North American bees, according to the FWS, but the relevant studies have raised alarms. A 2014 research report in the Journal of Invertebrate Pathology found that in northern Arizona, up to 63 percent of the bumblebee species Bombus huntii, and 66.5 percent of the species Bombus centralis, showed signs of infection with the pathogen Nosema bombi. Under the Endangered Species Act, federal agencies need to consider the bee's well-being when approving development or activities that might affect its habitat. For example, Jepsen told Live Science, the Environmental Protection Agency would need to consider the impact on the rusty patched bumblebee when approving a new pesticide. "The two most concerning threats to this species are disease and pesticides," she said. Diseases are often spread from managed bee populations into the wild, Jepsen said. Under the Endangered Species Act, any activity that could harm or kill rusty patched bumblebees becomes illegal, including releasing disease-carrying domestic bees into their range. Under the act, the Fish &amp; Wildlife Service must make a recovery plan for the species that might include actions such as mitigating pesticide use in the bees' habitats or altering land use, Jepsen said. Even actions as simple as mowing roadsides can affect the ground-nesting rusty patched bumblebee, so agencies might need to consider when and how they conduct mowing activities. "The Endangered Species Act is actually incredibly effective at recovering of endangered species, and our agency tasked with the recovery of endangered species now has the authority to act on this species," Jepsen said. Inclusion on the endangered-species list also bumps the bees up in priority for federal conservation grants. In a statement, FWS Midwest Regional Director Tom Melius said the public can contribute to saving North America's native bees by planting native flowers and avoiding pesticide use as much as possible. Leaving plants uncut during winter can provide habitat for rusty patched bumblebees, as these insects nest in the ground, according to the FWS. 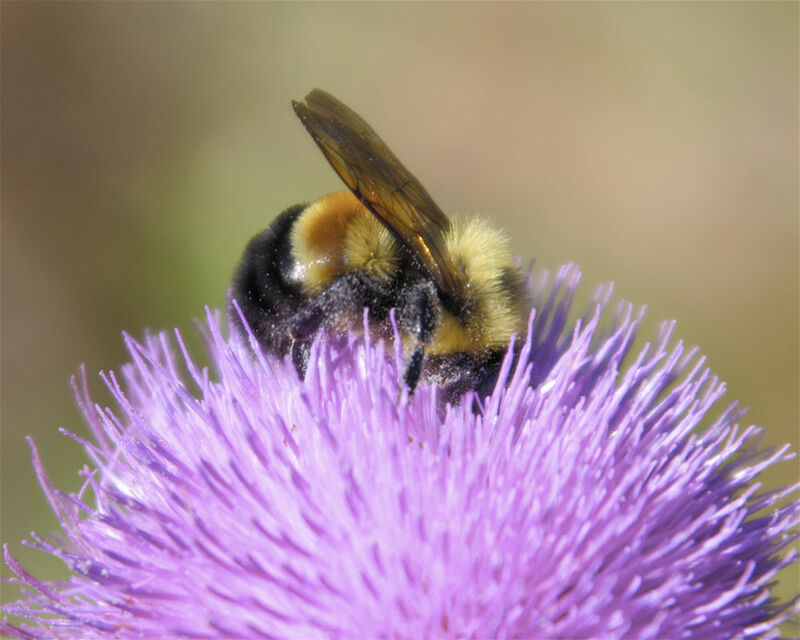 Members of the public can also sign on to Bumble Bee Watch, a citizen science project that allows anyone to submit photos and sightings of bees in order to track their ranges. "A lot of data from Bumble Bee Watch was already used in the decision to list the species," Jepsen said. With animals like bees that are so small and widely distributed, she said, "having an army of citizen scientists out there on the ground reporting where they occur is really essential."